4 phrases, battery is dead and package has been opened. 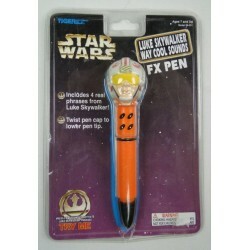 Item has never been used, also pen dried out. Replace batteries and he should work fine. 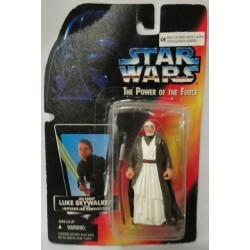 Great Find, a knock-off Obi Wan on a Luke Card. He’s beautiful by ugliness :) This is a fake figure. 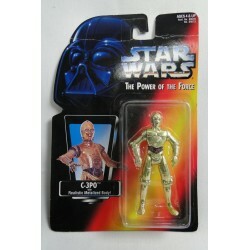 Rare Figure Japanese C-3PO MOC with green tint - Kenner. 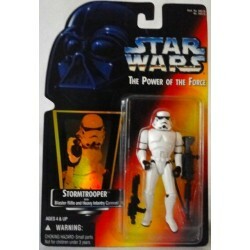 Original new Star Wars Action Figure. 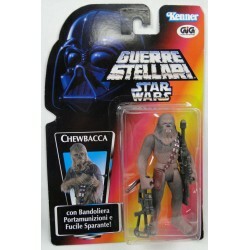 Chewbacca Italie MOC - Power of the Force - Kenner GiGi. Original new Star Wars Action Figure. 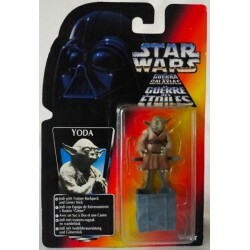 Yoda Jedi with Trainer Backpack and Gimer Stick, MOC EU, Star Wars - The Power of the Force. Kenner 1996. Stormtrooper with Blaster Rifle and Heavy Infantry Cannon, MOC US w/ holographic sticker, Star Wars - The Power of the Force. Kenner 1995.